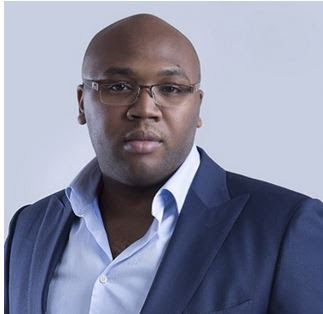 Serial entrepreneur and Iroko TV Boss, Jason Njoku, has revealed that he sees money as burden and according to him, he won’t be leaving any for his children. 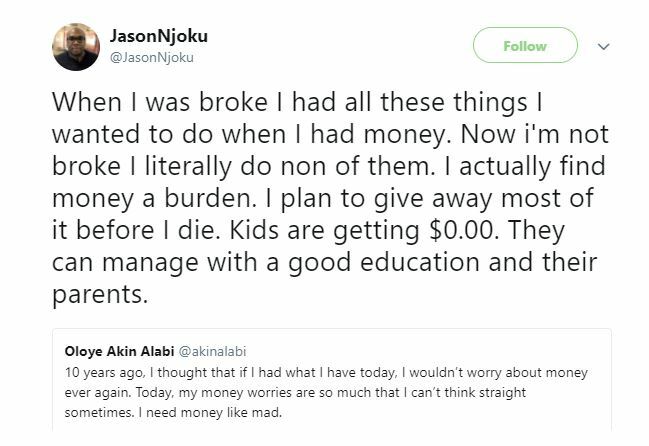 Jason Njoku stated this when reacting to a tweet by Nairabet CEO, Akin Alabi, on worries about money. 10 years ago, I thought that if I had what I have today, I wouldn’t worry about money ever again. Today, my money worries are so much that I can’t think straight sometimes. I need money like mad. 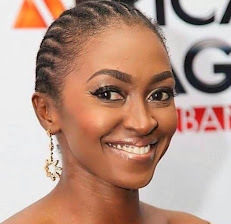 When I was broke I had all these things I wanted to do when I had money. Now i’m not broke I literally do non of them. I actually find money a burden. I plan to give away most of it before I die. Kids are getting $0.00. They can manage with a good education and their parents.